Summer is a crazy time to live inland and north of the divide. I have heard that the Wurundjeri people, whose country extends up the Yarra and north to the great divide, recognise six seasons in the year. But in mid summer in Central Victoria, it seems to me that there are only two: Summer. And Everything Else. This year has been brutal, with heatwaves and humid weather. One of the great delights of living inland is the night time cooling that happens because of the (usually) clear skies. So the cloudy, muggy nights have been hard to bear. But as with other seasons, I often think how it would have been for indigenous people pre invasion. We don’t have big rivers here and many streams don’t run all year. I have been aware of the water cisterns that were crafted by traditional owners, and seen a few. Clever engineering for a dry landscape with long summers. But I have only recently become aware of the important role of water holes in the creek systems in sustaining people through the dry season. 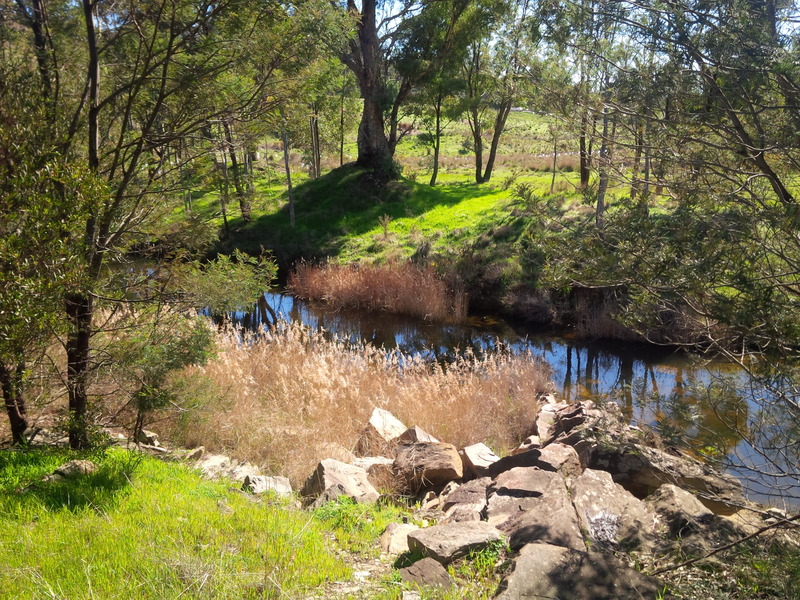 While rivers may not run all year, natural stream beds here will often hold relatively deep reservoirs in strategic spots through even the driest of years – for instance where floods have gouged out deeper waters in sandy creek beds. These were essential for keeping people alive and must have been significant places in terms of living sites. Even in the dry, the streams appear as a green ribbon as you cross from one hill to the next, and micro oasis for animals. Away from the streams, the land shuts down. This spring’s wildflowers are dry and the land seems like it is carefully holding any water it has. Colour seems bleached, the air feels like an oven, and even the smell of the bush seems restrained. But the air is full of noise and colour, the birds seem even more impressive during the summer droth as they whip through the trees. As it gets drier, the kangaroos move in closer to water supplies. Our local echidna seems happy and I catch the occasional glimpse of Bunjil the wedgetail eagle over the Forest Creek valley. I’m glad I work mostly indoors now days and don’t have to battle summer weather in the hottest part of the day. I find my patterns change in summer: up early for a walk and then one in the evening, and outside chores as the sun goes down. Close the house down during the heat of the day and open it up as the sun goes down. Plan around the expected cool change or hunker down on those stinking hot days. You can see why the tradition of the day time siesta came from places with a hot climate. When walking I follow the streets with the deepest shade, the plane trees in particular create cool micro climates on days when the wind isn’t blowing. Outside of peak times, the streets can feel empty, and on the weekends the crowds will be out enjoying a swim at The Res. 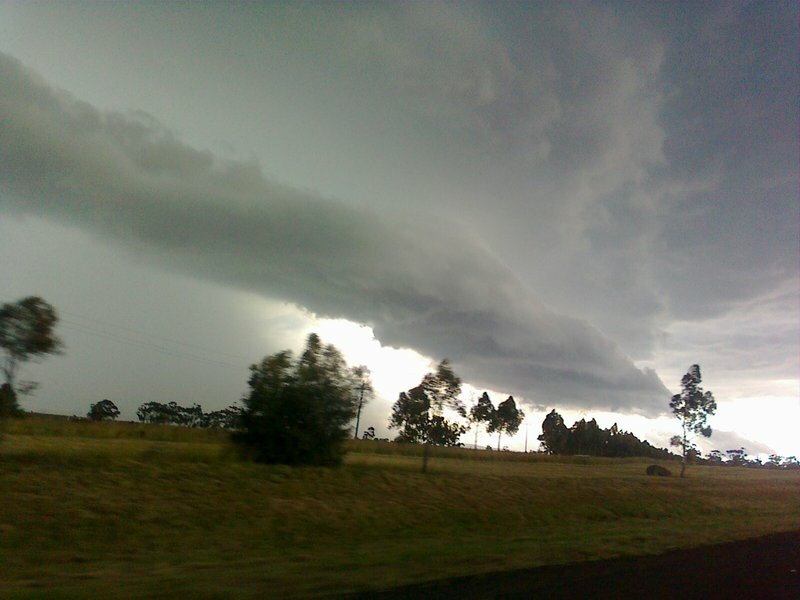 Then you get one of those cold fronts come through and a burst of rain (the last one brought about 15 mm in a heavy downpour – not enough to give the land a good drink but enough to flush the gutters with a brief mad rush of water). The land is briefly alive and vivid again, then slowly shuts down. We swing back into the summer pattern of hot days and mild nights, gorgeous dawns and starry skies. For that day or so after the rain, the bush smells rich and sweet and reminds me of the seasons to come. Late spring, last light. The sky is pale but the colours haven’t leeched out of the land yet. The wind swirls through the trees, like a stick in muddy water, stirring languid but not yet hot air through the canopy. Last spring was wet and we had fields of chocolate lilies. This year is drier and instead its fields of yellow everlastings. Last week’s rain is gone, tucked away into root systems and flushed down streams towards the distant sea. But the air is still sweet. Its like the plants all breathed out in relief after that last downpour. 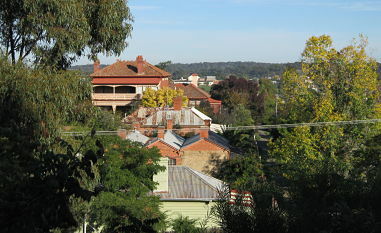 Castlemaine is mostly Box and Peppermint country, low hill and gully country. It’s hard to get a glimpse into the bigger landscape. Climb one hill and you see the next one. I walk through the open Box country, and can see how the thin soil and sandstone rocks dictate what can grow. 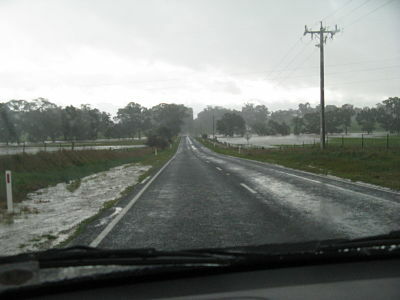 Drop into the shallow gullies – to the slightly deeper and richer alluvial soils – and the yellow gums step in quickly. Back up onto the next ridge, more rocky outcrops, more understory species, a slight thinning of the trees. The air is full of colour and sound. Gangs of cockatoos sweep through above the canopy, groups of young magpies stalk the stubble on the golf course, ravens call, wattlebirds, the occasional rosella, the smaller birds I don’t know go about their business. Walking down the open ridge into Happy Valley I remember the time I saw a dark spot in the sky to the south east. I called out. Bunjil. An eagle flew straight towards me, circled just overhead four times, looked me in the eye and flew west. Another time I rode down that same ridge, stopped to take a phone call. Was standing there leaning on my bike talking when I realised that it was a brown snake, not a stick at my feet. This land keeps giving me stories. Stories are like compost, when they build up in one place they become rich soil. I feel like I’m knee deep in this country as the stories pile up. 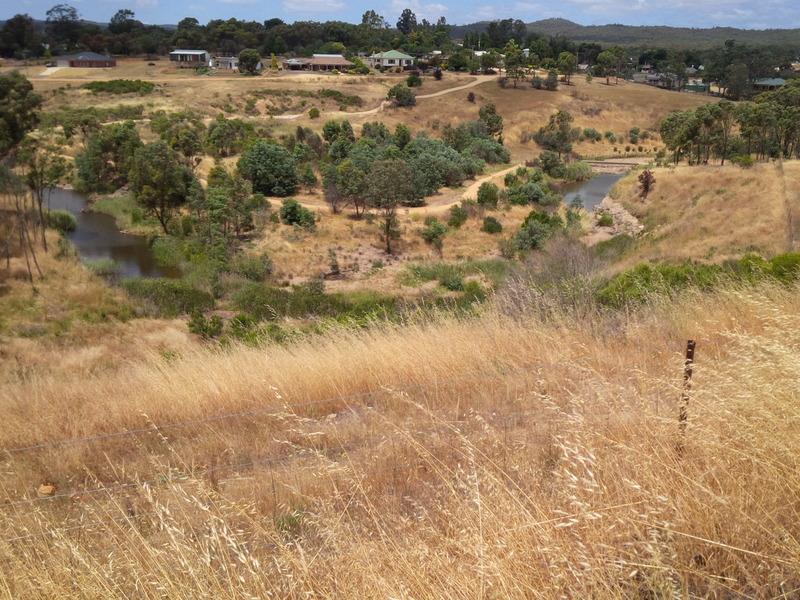 Most Sundays when I’m in the ‘Maine, I go for a quick wander up the southern end of Leanganook/ Mt Alexander. 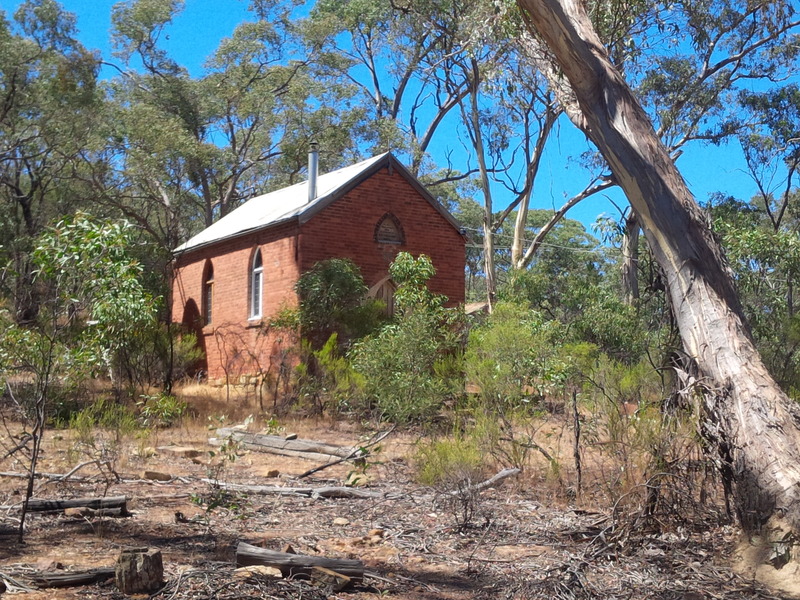 Its already slightly different country out there: those big old red gums, that gritty soil, the granite outcrops. A short climb and you get that wonderful view west towards Mt Tarrengower and the lower ridge – much closer – that holds the Pineys – the pine plantations that are being harvested, and the local swimming hole, the Res. Castlemaine lies beyond, dotted in a tree filled landscape. I think of this mountain, stripped bare for the mines, for the tannerys, and the slow regrowth over the last century. Just high enough to generate its own weather, often cloudy and cool when its already hot on the plains below. The rock climbing spots, the quiet places, the taller timber on the ridges. As a species, it seems that we are hard wired to look for that greener grass over the hill. But a big part of being happy is to hold gratitude for what you have. Living in Castlemaine, on the cusp between the great inland and the wetter country of the Divide, we share a lucid and lively landscape. Here, in mid November, on the cusp of the seasons, I can feel it settling down, getting ready for a long, hot and dry summer. I feel my own body doing the same. Its good to be home. It’s summer and the fear has set in. Yes, fear about the fires but after a warm winter, dry spring, and a baking early summer I wonder if we’re wheeling back into a long drought. 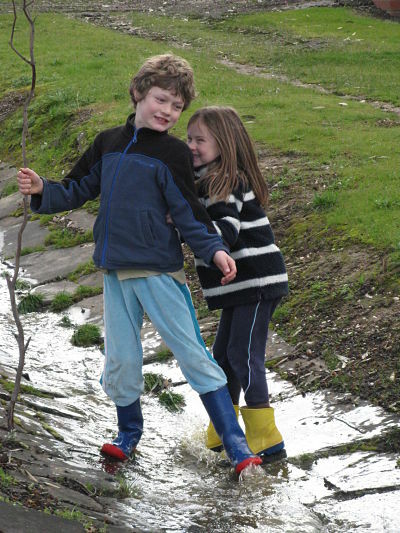 Friends in the Chewton forest are already buying water. The creeks are dry, the soil is so dry. 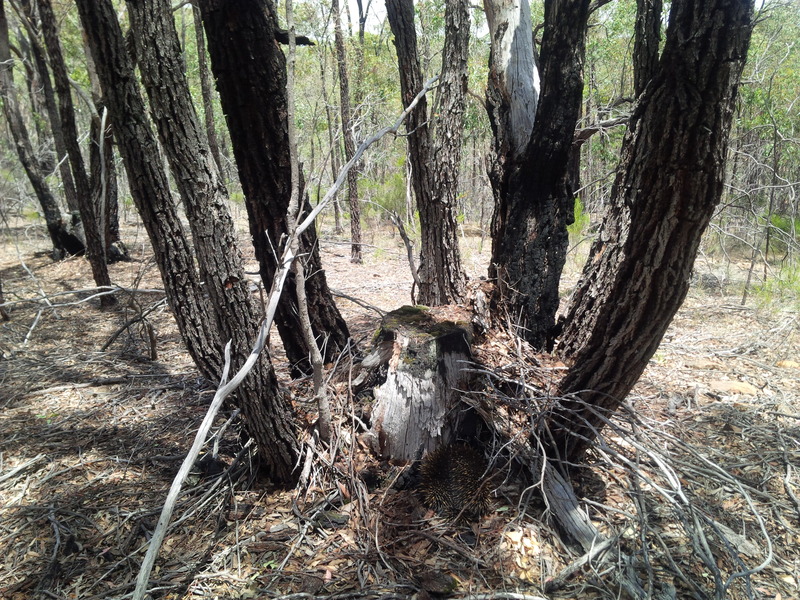 Even the bush looks stressed, closed down and waiting, tree tops thinning out, understory just hanging in there. The Fifth Sacred Thing is a novel set in a not too distant post climate change future. The book opens in late summer, when water supplies are dwindling, and big processions of people wind slowly up the hills above San Francisco to pray that the rains will come. I often start to feel like this as we ease into the brutal reality of summer north of the divide. But this year seems a little different. As a climate change campaigner I know enough of the science to be generally terrified of the future. And while I know that climate change is already happening, there is some part of me that pushes that realisation away. When it gets too hot or too dry or the fire season starts too early I hope that we’re not moving into the new reality. I hope and pray and push that fear down somewhere, looking for the break in the weather. Life in rich countries continues as normal. We complain about the heat but water still comes from the taps, there is food in the supermarkets, the sports field is still near enough to being green. Disaster seems like it will always happen somewhere else. But I look at all the extremes: South Australia breaking a heat record for December, a tornado that just tore through Sydney, ‘extreme heatwaves’ across much of the south east in the build up to Christmas (some scientists are already suggesting that December heatwaves will become common). 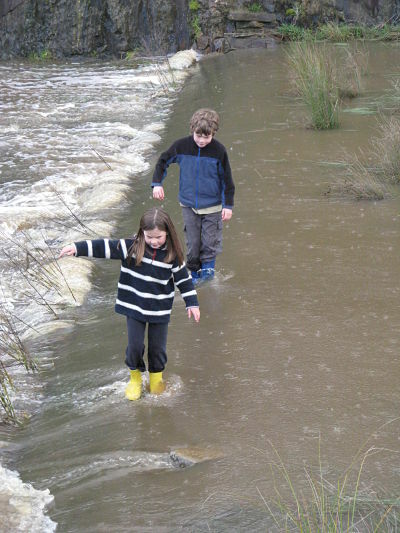 We know what science tells us of the future: Castlemaine will get hotter and drier, with less streamflow and more erratic weather. We have just had a victory of sorts on the climate front, with an agreement to try and keep global warming to a maximum of 2oC. There are so many voluntary measures and loopholes that you can drive coal trains through them. But it does give me hope that at world leaders felt sufficiently compelled by the science and their own constituencies that they hammered out a basic agreement. But I do wonder if we are the frogs in the water that’s slowly getting hotter. When it gets to boiling point it will be too late. In the climate change movement there is often the debate between the ‘bright siders’ and the ‘realists’. The bright siders are essentially optimists who don’t want to demoralise people by singing too strongly from the doomsday song sheet. The realists point out that if we are to have a chance of avoiding climate catastrophe we need to accept that there is no carbon budget left to burn, with obvious implications for how we run our economies and live our lives. I have always been an optimist and can see how quickly people switch off it the news is too bad or the problem is too big. But the potential that we are already living in the ‘new normal’ scares the absolute hell out of me. Boxing Day. After fires in the Otways destroyed more than 50 homes and Lorne was under an evacuation order, a front roared in off the southern Ocean. 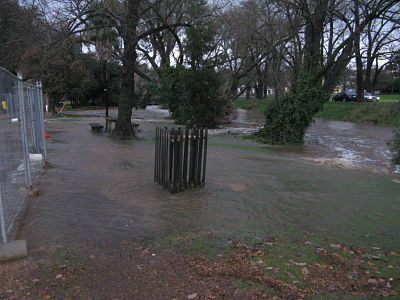 Temperatures plummeted and Castlemaine got a welcome drenching. It also allowed fire fighters to get the upper hand in their efforts against the blaze. Phew. Back to normalcy and the hope that things will be OK (for a while). 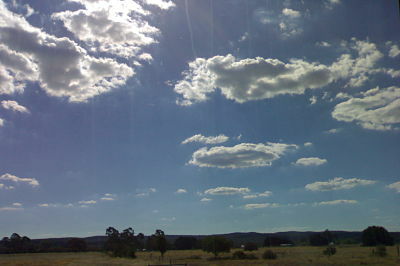 We don’t have any mountains here in Central VIC, just nice rolling landscapes of hill and valley, and occasional plains. We do have some nice hills, that are just high enough to be different to the surrounding plains. The standout is Lanjanuc (Mt Alexander). It rises about 350 metres above the surrounding area, just enough to feel different and sometimes generate its own weather. It is part of the Harcourt granite intrusion, and feels quite different to the surrounding sand and siltstone country. 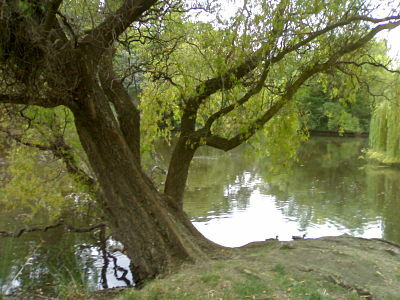 It was important as a sacred ceremonial ground for the Jaara people. 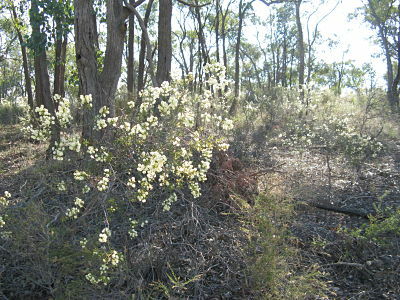 It has a mix of vegetation, but climbs into Manna Gum and Messmate on the higher slopes. These higher areas that sit in amongst landscapes of lower elevation often contain different species to the surrounding area. 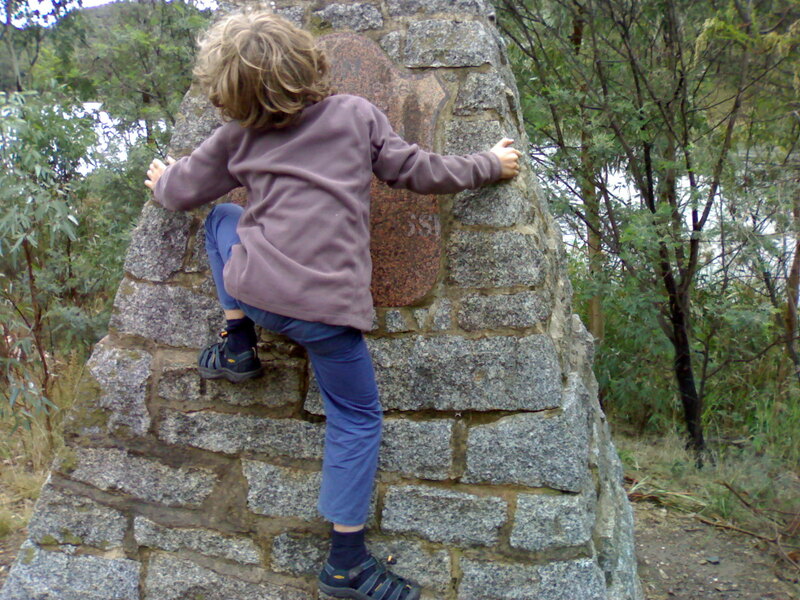 In our region this is no more apparent then at Mt Macedon, which sits slightly above 1,000 metres above sea level. In winter it is often briefly visited by snowfall, and it can feel moody and cloudy when it is bright and clear on the basalt plains to the south. Known as Geboor or Geburrh in the Woiwurrung language of the Wurundjeri people, the mountain has a rich mix of species that seem out of place in the dry and low lands of Central Victoria. 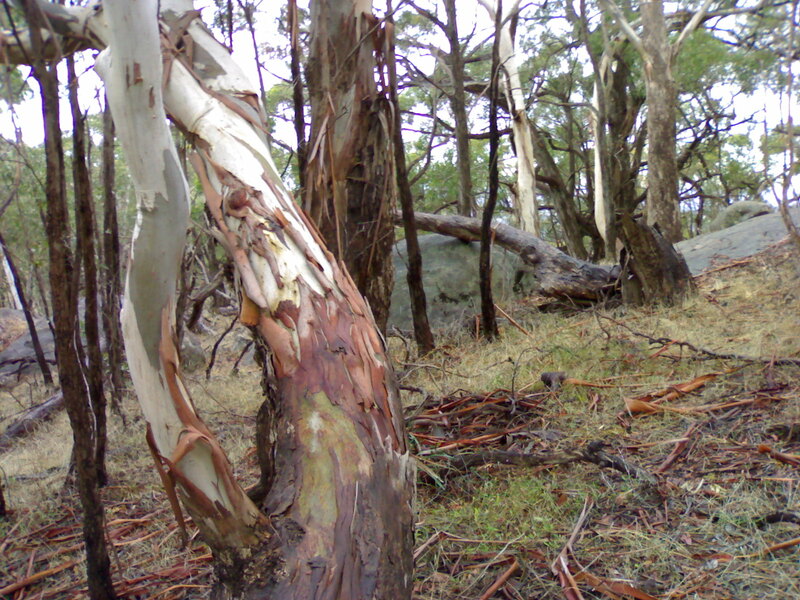 As you climb from the Kyneton plains you pass through dry Messmate/ gum forest and then into a wet Messmate/gum forest. Then up into Alpine Ash and finally pockets of Snow Gum. 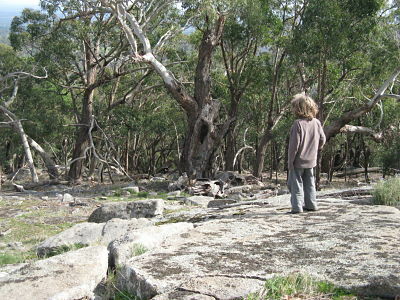 Since the Ash Wednesday fires of February 1983, there has been prolific regeneration across the mountain, including stands of wattle across much of the summit ridge, and stands of young Alpine Ash crowd in against the road. The understorey contains plants you would expect to find in the gullies of eastern Victoria, such as Hazel Pomaderris and Austral Mulberry, and Mother Shield and Fishbone ferns. Sheltered gullies with towering Mountain Ash trees and giant ferns can be found within a short distance of the sub-alpine low woodland dominated by Snow Gums on the highest points. 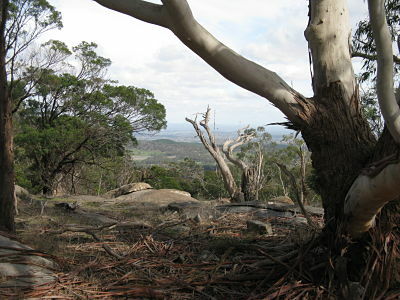 Quite a few plant species that are generally confined to the eastern highlands (the higher hills to the north east of Melbourne) and the Victorian Alps can be found at Mount Macedon at the most western limit of their ranges. 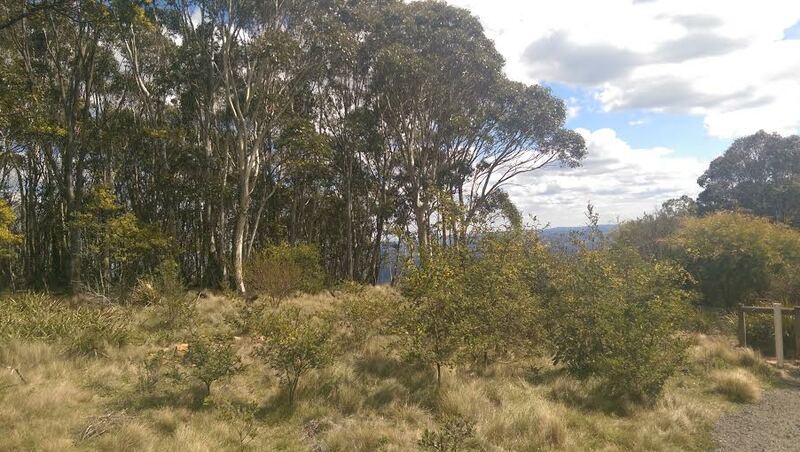 Examples of these are the Alpine Ash (Eucalyptus delegatensis) and Mountain Beard-heath (Acrothamnus hookeri). Other species following a similar distribution are the Sharp Beard-heath (Leucopogon fraseri) and the Mountain Tea-tree (Leptospermum grandifolium), both recently discovered at Mount Macedon. When it comes to landscapes, I like my water frozen and my hills big. But where ever I am, I like to get outdoors. The last few years has seen me clock up a lot of k’s walking around Castlemaine, but I have, until now, resisted the urge to get on a bike. We don’t have large rivers here. We have a few small crags, with some excellent granite climbing. There’s The Res and Cairn Curran reservoir for swimming (Cairn Curran even has its own sailing club). We are several hours drive from the mountains or coast. But we do live in lovely, rolling hill and valley country, with interesting and often rocky terrain. The mountain bike culture is huge. Castlemaine has two bike shops – the Bike Vault and Cycle Concepts, a big MTB club (Castlemaine Rocky Riders) and lots of informal ride groups. It has lots of public land and almost endless dirt tracks. 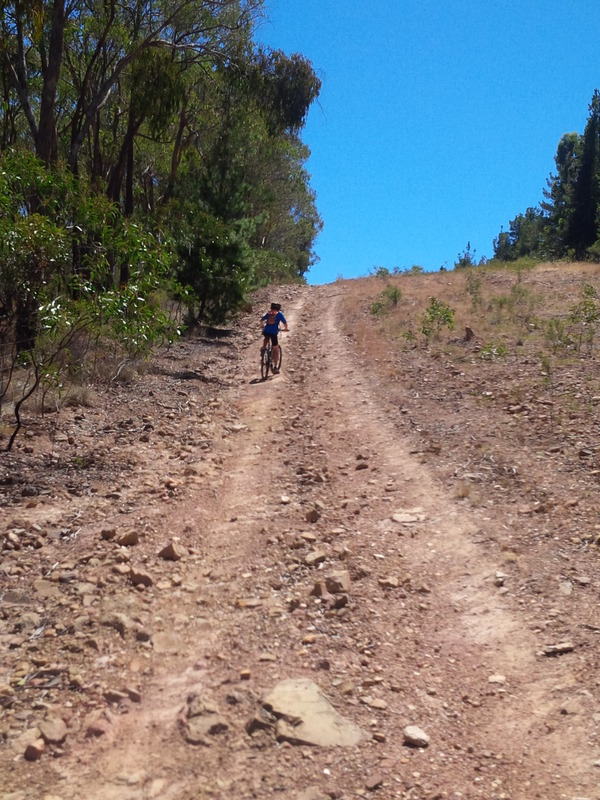 It is starting to get some designated singletrack riding – especially The Baco (near the meat works) and The Pineys (in the pine plantations to the north east of town). There is more coming, with plans for a new development in the Oak forest on the slopes of Mt Alexander. I love walking. It is the most intimate way to get to know landscapes, and travelling at walking pace is perfect for thinking, planning, reflecting. Bike riding is different, your brain needs to focus on the actual travel – picking the path or watching for cars, or avoiding rocks – and so gives a really different experience. I like the notion of ‘flow’, of getting into that completely engaged but non self conscious space that you get when you’re in the Zone. I mostly get that skiing and sometimes climbing. And now, sometimes on the bike. Of course, riding can also be wonderfully social. Its healthy, low impact, good all round exercise. Its also a great way to get to experience landscapes on a scale that’s beyond what is possible for the average walker. So, getting on the bike has greatly increased the ‘watershed’ of land that I know well through travelling through it under my own steam. Getting further out of town has highlighted yet again how diverse Central Victoria is. Lots of Box Ironbark country, yes. But pockets of Manna Gum, drier forests on the west side, the changing terrain as you head towards Mt Alexander. Lovely streams and open valleys. Glades and thickets. And also the human scale and life. The old houses, the ‘homesteading’ phenomena (the 5 acre dream), stone fences and other signs of the gold rush era. 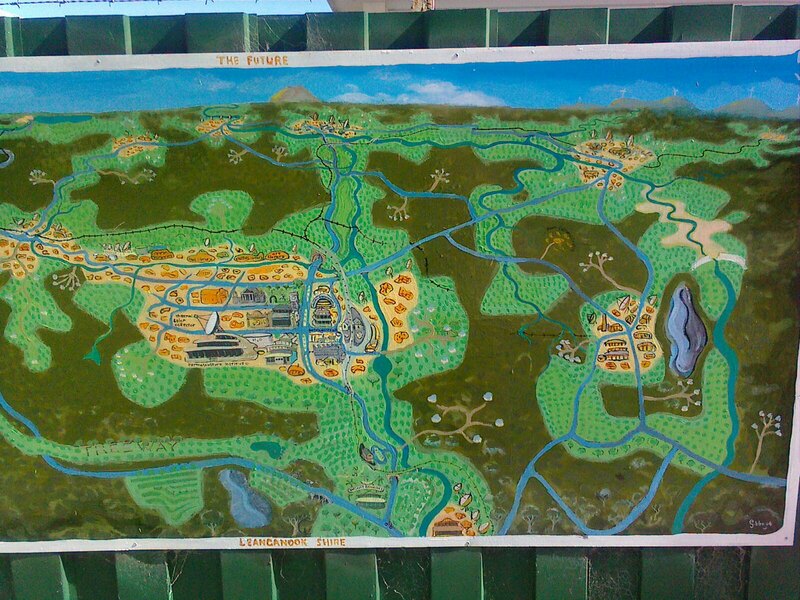 The pine plantations and hiking trails. Another cycle around the sun: Spring slowly eased into summer late in the year, when the heat came in with a vengeance. After a dry spring, the dominant weather gave us a dry summer, and many grassfires across central VIC. It seem that the last 2 years, of wet springs and mild summers, have given way to more traditional weather patterns – baking, long and dry months after Christmas, well into what should be autumn. The earth is so dry, trees dying, and the local streams little more than occasional pools. Then, finally, the autumn break, later than usual, and a series of good downpours. 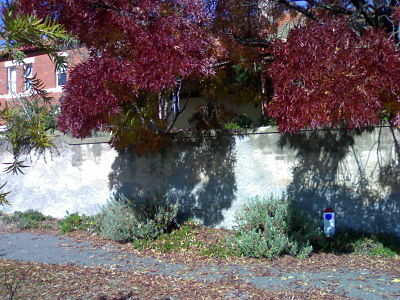 Castlemaine does a great autumn, made even sharper this year by the dryness and clarity to the air. In the world of humans, the town continues its slow evolution. The Council elections of October seem to have delivered more of the same amongst our representatives – a more or less progressive collection of people, with a couple of hold out old school reactionaries. 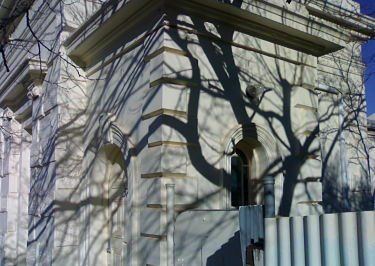 The shift in individuals in council was not enough to profoundly shift the political terrain – for instance, it was not enough to turn around the Councils involvement in the case at VCAT against the planned pokies barn (a motion to withdraw from the case went down on a 2 to 7 vote). Given that the rumour mill is full of claims that supporters of the pokies proposal were asked to vote for ‘their man’, its interesting that this is all the influence they could muster. In contrast, the anti pokies group (EPIC) had endorsed 11 candidates in the elections. Bronwyn Machin, the hard working Greens rep on Council was replaced by Jess Howard, who ran on an anti pokies ticket. This kind of balanced out the progressive side of things in the Castlemaine ward. I had foolishly wondered if this election might see a shift in the 3 seat Castlemaine ward from 1 progressive to 2 conservative to 2:1. It was not to be. But subtle shifts continue. 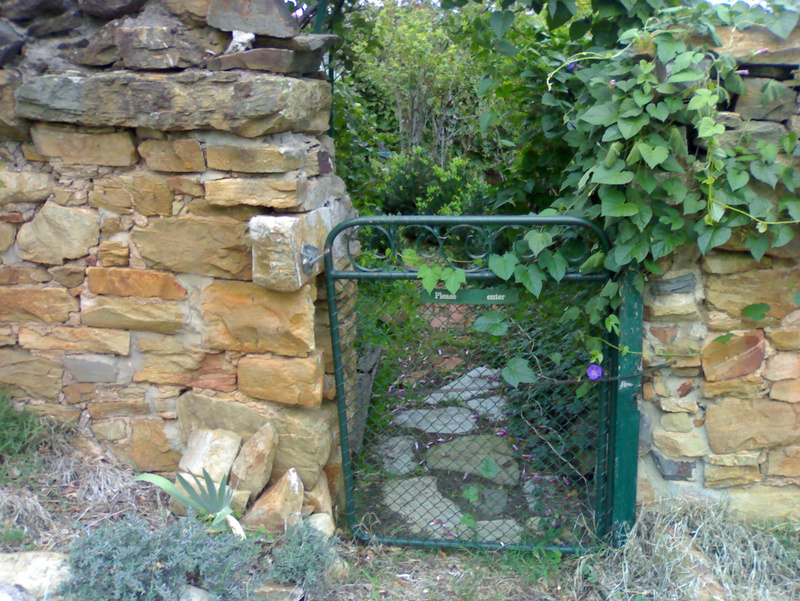 We have seen a change of guard at the local FM station – a station that in my experience is ‘community’ largely only in name, with a tendancy by management towards right wing, old Castlemaine politics. The existing board spat the dummy and resigned en mass, leaving the real possibility that the station would collapse. It seemed like they were happy to see the station go down in flames rather than share it with the other kiddies. Shabby work. One of the prominent right wingers then vented his ‘disgust’ and bitterness all over again (the pokies battle was part 1: with ‘I will hate you forever’ rantings. Maybe this guy should get out in the real world a bit more if he needs something to be angry about). There has also been an interesting and well orchestrated campaign against the community wind project, with the strange sight of supposedly progressive green activists finding common cause with right wing flat earthers. In my last post I said that I wanted to see progressive Castlemaine become more co-ordinated in its ability to organise. While the Greens fill some of this space, no political party can really do this for everyone. MASG, the sustainability group, has a limited mandate, and EPIC is focused, of course, on a specific proposal. The union movement is small and has limited presence here. Many other progressive organisations, like the community house, have a niche away from involvement in traditional politics. However, I do feel that there is still a need for some kind of co-ordinating body to match the efforts of the Right. But with the most recent Council elections now in the rear mirror, two things stand out for me. Firstly, it appears that the political power of the right is starting to peak and starting a slow decline (which is certainly a very different observation to writing them off as a political force. They will always be a feature of this town. It is just that they are no longer the dominant force shaping the fabric of Castlemaine). Secondly, the required networking of the progressives does happen, but it happens as is the norm in a country town: through networks and through conversations, and at work, by the side of the oval as our kids play sport, at home, and over a beer. The network model is being used by progressives in an organic way. We are now part of the fabric of the town, and our organising model reflects this. Not that its always a conscious political strategy that’s been employed, its just how people tend to do business and form opinions. Its not ideal, because this system can easily evolve into nepotism. But its an important cultural shift. Recently, with the ABS reviewing the size of communities, many centres that had fallen under 200 people around the urban centre were ‘delisted’ as being identified as a town. A local victim was Taradale. In true style for the Mount Alexander Shire, a number of residents quickly called a meeting, with around 100 people attending, and there was a declaration of the town becoming a Peoples Republic, with its own passport and anthem. Reason enough to love this place. See you next time.. I enjoy all the posts on the Castlemainia facebook page, that generally start with “I have just moved to Castlemaine and am looking for…”. The steady flow of folks mostly moving up from Melbourne continues. As we all know, the ‘Maine is firmly on the map when it comes to the city escape. Increasingly there are more from interstate, including at least one family I know from the NT. On one level this doesn’t make sense when you think about it. Most of the new arrivals are very aware people, and if you read any localised climate science you will see that here on the inland slopes we will have greater water stress, more erratic weather, and hotter days as the years wear on. If we’re looking for a better place it probably makes sense to head to Gippsland or somewhere else on the coast (or Tassie for that matter). But we keep coming, and the magnet for many is the sense of community. Community activism continues to underscore and highlight some of the tensions in town, as the proposal from the Maryborough Highlands Society for a ‘pokies palace’ type development inches forward through VCAT. Council elections draw nearer and I am sure I am not the only one wondering about how Council might change if the 3R traditionalists get sufficiently organised. You know who I am talking about: the folks who rant about Council spending money on bike lanes because they think they should be building car parks. I hear the rumours of the ‘festival of the Blow In’ (I love the idea) and track the letters in the Mail and Express. The whinging that you hear about how our town would be better with an Aldi or a Coles irks me but also makes me sad. Is this really all we want when it comes to defining what makes our town a special place where we want to live? Our parents and grand parents fought in two world wars so we can have big supermarkets and a pokies venue? I love the tensions and under currents that ripple away, and the endless comment and response between the key letter writers in town. I also love the way its generally such a harmonius town, with a strong ‘live and let live’ sensibility. I also look at the wonderful sustainability initiatives that abound up here and the many many individual attempts to live with a small footprint. But I do wonder about food production and, especially water. Ours comes from near by at Malmsbury. But as I understand things, we are doing OK simply because of the Northern Victoria interconnector pipeline that now feeds Bendigo most of its supply took the pressure off our local supply. And then there is land use. In spite of a lot of mindful housing construction, the hideous lawn, palm tree and neo Colonial estates continue to spread. 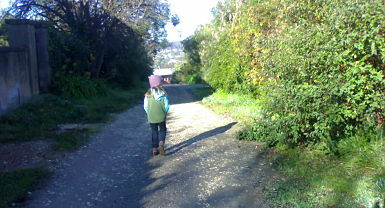 Luckily the pockets of public land and topography stop the sense of endless urban sprawl, but its certainly out there. So, is it time to, (to paraphrase an especially horrible MP), Stop the Boats? But this months musing does make me wonder how sustainable the sprawl is. 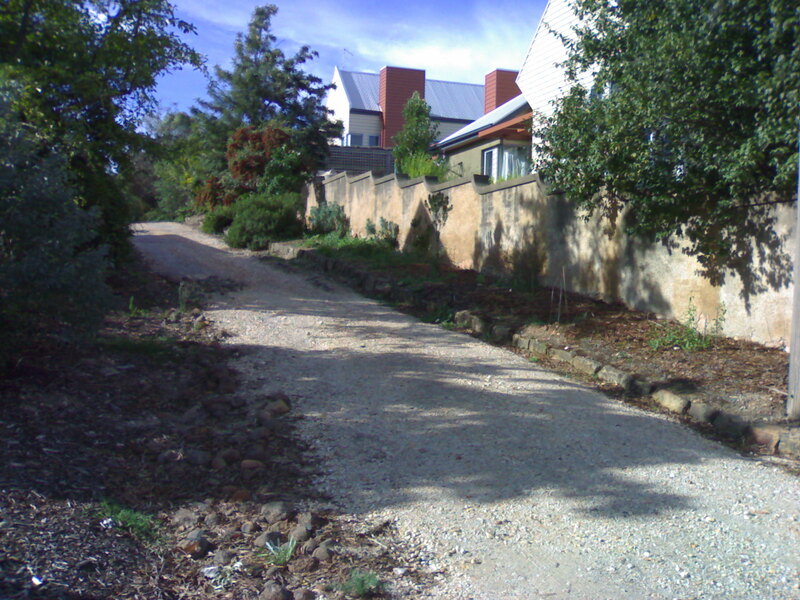 It does seem like Castlemaine is one of those places where the quarter acre dream lives on, albeit extended slightly into a hectare or two. Stay tuned for my shock confession in the next post. When thinking about how we should live, as always, I come back to some basic principles. The need to start going up rather than out. We need to encourage increased density around the ‘down town’ area. The hard thing here will be for it to happen in a way that is actually sustainable and acceptable to the community rather than just being driven by a developer – as appears to be the case with the sell off of the Old Goal. This, by definition, means that progressive minded folks must get organised against the political wing of the 1950s (aka Castlemaine Action). It is interesting that progressive society has not yet developed a counter point to the conservative Castlemaine Action, who are well networked and quite effective at getting their agenda noticed. We have MASG, EPIC, the community house, a Greens branch, and all the rest. But no co-ordinated political organising across the big political issues. Maybe that’s our immediate task: to create an alliance of progressive people and groups to ensure our concerns and priorities are heard in council elections and day-to-day political debate. We probably need to start being slightly less accommodating and more of us need to get up and advocate for the type of town we want, because that’s certainly what CA and the other ‘white picket fence’ thinkers are doing. It’s hard to believe it’s been so long since my last post. It feels like life is rushing along as a seamless flow of busyness. If life is like a river, I think that a big part of living well is to know when to hang on, when to paddle hard, and how to read the river. But it’s also about knowing when to pull into an eddy for some rest and reflection. Sometimes my reflection time comes on the train as I cross the Kyneton Plains towards the dark bulk of Mt Macedon, or on a wander through Kalimna Park. 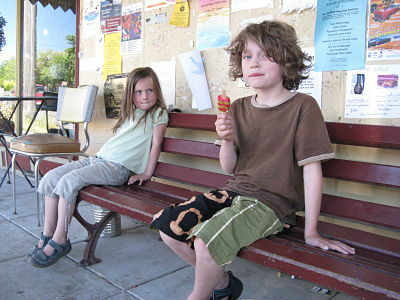 It makes me realise that Castlemaine is the place where I’m going to be for a long time to come. This started as a year in the ‘stony country’ before heading back to Melbourne. But more and more, when I get that first quick glimpse of the humped ridge of Mt Alexander from the train or freeway, I get a sudden flash of happiness to know that I’m almost home. I recently found out that a friend of mine had passed away. Peter Berg, a great thinker and activist, who did so much to popularise the ideas of bioregionalism and place-based culture. The basic principle of this line of thinking is to try and understand where you are. Not just the abstract of ‘Victoria’ or ‘Australia’: more, its about understanding what landscape are you inhabiting. And how does it speak to you, inform how you live? 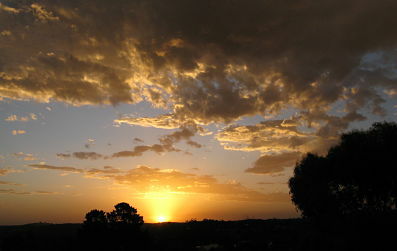 Being up here in Castlemaine has always about being in a place, a particular community of people and ‘nature’. 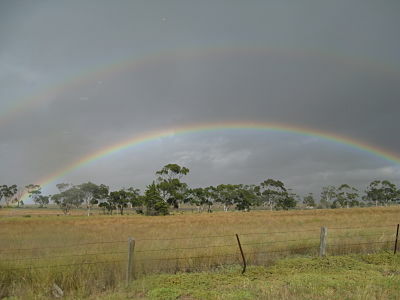 It has proved to be incredibly rich in both as we sink ever more into our friendships, our connections, the low hilly country that makes up this part of Central Victoria. From our kitchen we look out to Mt Kooroocheang, a volcanic cone that sits to the south west, and at the north eastern end of the basalt plains. Southwards is Mt Franklin/ Lalgambook. And out south east is Kalimna Point, trawled over in the gold rush decades and now an eclectic mix of the exotic and indigenous. To the north, beyond the ridge, is Mt Alexander, just high enough above the plains to generate its own weather and feel like a profoundly different place than the rumpled country below. While there are familiar plants, there are new ones to learn. There is a grove of native Cyprus, apparently outside their normal range, which is my favourite spot within walking distance of home, and the graceful Ironbark stand you pass through to get there. Bit by bit it feels more and more like home. My deep love is for the mountains – such as they are here in Australia. They feed me and feel ‘right’ in a way I can’t really explain. No matter where I go in the world, to be dazzled by real mountains and grand landscapes, nothing makes my heart leap like a slow walk through a snow gum forest to the tree line, and long views over our old landscape of exquisite blues and greens. But here I am, in the Stony Country: a bit hotter, drier, colder than Melbourne. Central Victoria does a great winter, a gorgeous autumn, and we have been lucky enough to have 2 mild and wet summers so far. As you drive south, towards the well watered country around Daylesford, you see that the culture down there is a bit different, a little more flashy and colourful, and Castlemaine seems a little more sedate. Just like the land itself. Perhaps it is no surprise that Slow magazine has its base here. The slow cycles of seasons, of dryness and water and thin soils, and people seeking a deep rooted culture is real, even if you can only glimpse it amongst the trappings that come with being in a busy and vital country town. I often wonder what this place might be like in coming decades if enough of us stay. Local artist Ben Laycock has a wonderful series of murals on a fence in downtown Castlemaine. It’s been the subject of some debate and will be replaced shortly in order to create ‘new space’ for other artists. There is, of course, the ongoing undercurrent about what future Castlemaine will have, as the long term residents, the professionals, and the alternatives/ tree changers all seek to make the village reflect their own internal cultures. Sometimes this flares out into conversations about carparks versus bikelanes. While often the community campaigns of recent years have tended to bring us together – like the fight to keep local pools open, and so on – the current struggle against the Highland Societies pokies proposal has brought out some interesting class and ‘long termer’ vs ‘blow in’ dynamics. Ben’s murals start pre-invasion and pass through the gold rush years to today, and imagines a future vision of what Leanganook (Mt Alexander in the Dja Dja Wurrung language) shire might look like in coming years. I think that deep down, some people respond negatively to Ben’s work because they don’t like to be reminded of the coloniser past, or the ecological, place-based vision he offers of the future. I’ve just moved to a new house, where almost every single indigenous plant on the block has been obliterated. All the environmental weeds the last people planted have spread out into the surrounding bush. People might live here for decades and fly the aussie flag, but lots of them don’t have a clue about where they really live. 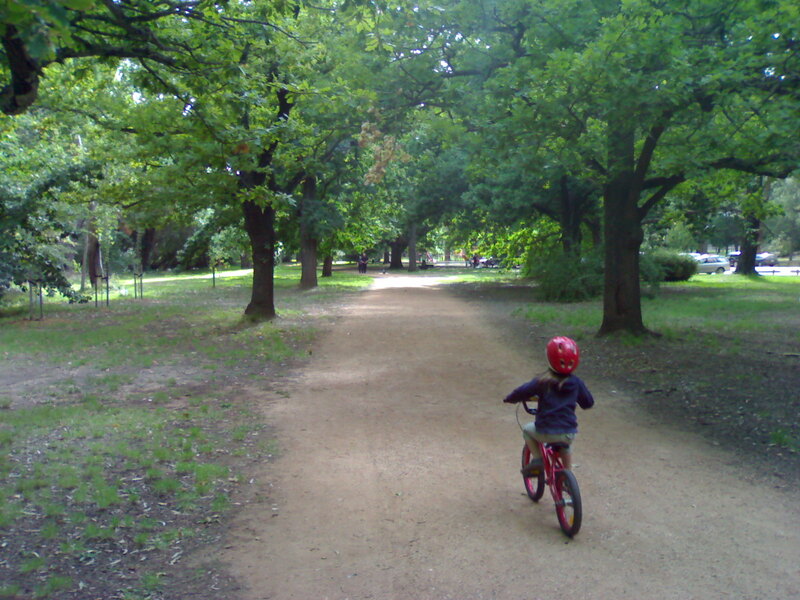 We are far enough from Melbourne not to have the risk of being overwhelmed by the suburbs. But we are creating our own sprawl. 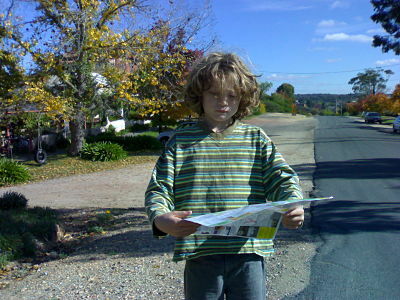 Places like Castlemaine are like the last outpost of the Australian dream of the big block and lots of space. But, more and more, this sprawl is often next door to lots of smart thinking, small footprint, and sensitive design. It can only get more interesting in coming years. It looks like my year in the stony country has turned into something of a longer mission, and I might be around for a while yet to see it unfold. This year has been great. 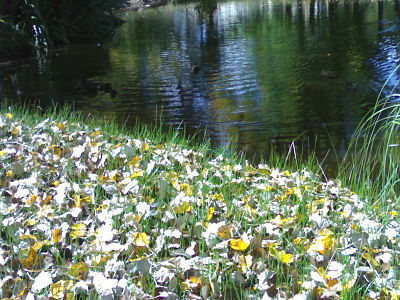 We were blessed with a mild summer, gorgeous autumn and, finally, a wet winter. 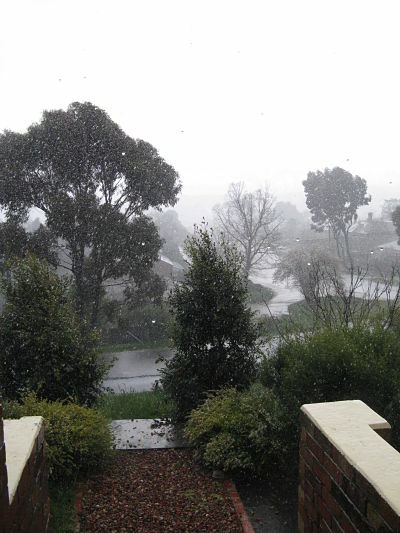 As we turn into the spring months, the frosts and clear mornings of June and July that knocked the vegie garden around and carpeted Castlemaine in white have given way to rain, rain and more rain. Water seeps and pours out of the very earth, races down narrow valleys, cascades out of the reservoir at Expedition Pass, and blocks the roads. Everywhere you see people out and about, excited in the most wonderful way at all this rain. The landscape has been transformed. Out walking in my favourite haunts it is so hard to recall what this country was like just a half year ago, baked dry in the sun and heat, everything shut down to conserve water. You could feel the dryness in your lungs as you breathed. Now its gray and cloudy and as sodden as a temperate place can be. Turbulent waters race by, starting the long, long journey into the Murray system and the distant sea. Community passions have been stirred up again, with a proposal to build a pokies parlour down by the railway line: almost 150 people appeared at an impromptu rally the other day. 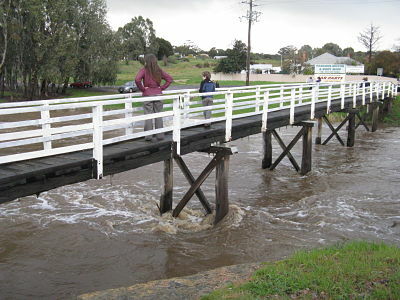 Castlemaine feels lively and has an air of excitment as this strange weather passes through – old timers and new arrivals equally happy to see the reservoirs filling and the streams bursting their banks. For the most part it has stayed on the right side of an extreme eather event – no injuries and little damage that I am aware of, mostly its just that nature has briefly reclaimed a lot of floodplains and drainage lines for a few minutes. We will return to our normal programming shortly. No major rants this month, feels like life has just been too crazily busy, and when I get home my brain just switches off …. 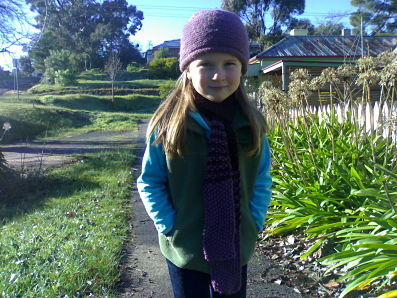 but as a cool climate person I have been loving the cold, cold nights and frosty mornings. I love the weekly early morning run on the train to Melbourne, starting in the white landscape around Castlemaine, up slightly onto the often misty plains around Kyneton and then the rise to the taller forests of Woodend, cloud on the mountain. 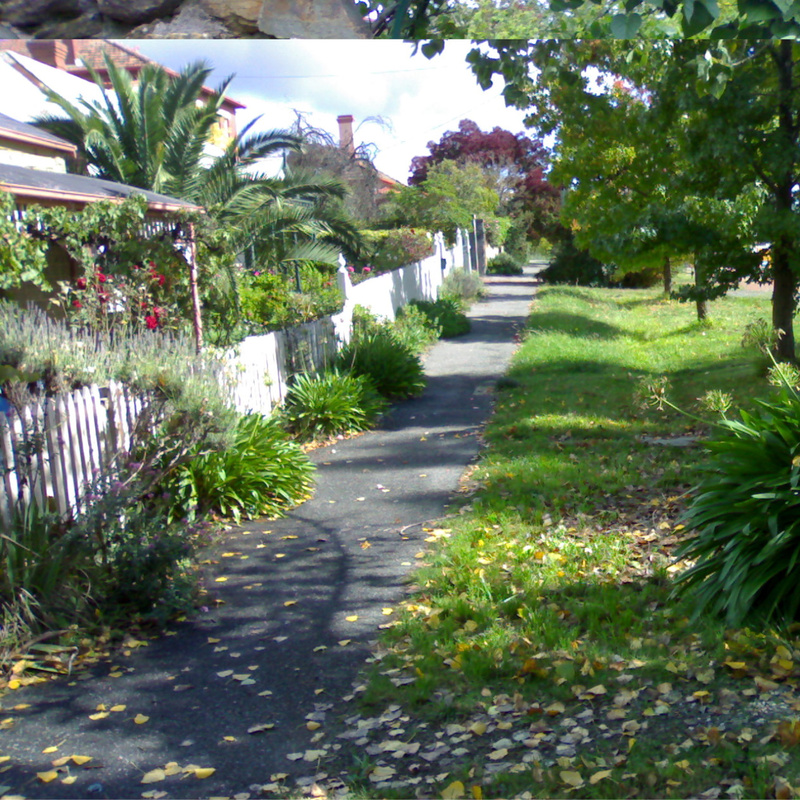 Then the slow descent to the Melbourne plains and relative warmth and freshness to the air. I have been enjoying the richness of the colours as well, as the sun slants in from the north, the soil is damp and rich smelling, the play of light over the shallow hills and valleys. These are just a few pics from my wanderings. There are some hideously ugly housing estates popping up around town, but the low hills and winding valleys snake through it all to break it up visually. 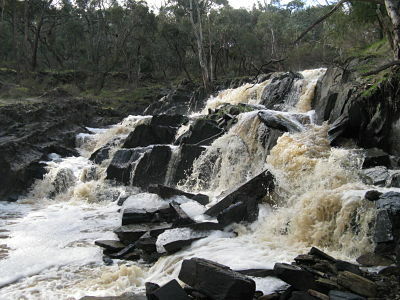 And the pockets of bushland (mostly run by Parks Vic) gives that ‘Canberra effect’ that stops wall to wall sprawl. Sometimes the car culture (lots of cars for relatively few people) gets a bit grinding. But then you have a few of those gorgeous days where it seems like the streets are full of people, bikes and wandering dogs, and it all feels good. April zips by in a blur of days and slowly shifting weather. We are truly into autumn now, and the landscape has come alive after a series of good rains. It’s so unlike the mountains or the Northern hemisphere, its like everything has woken from summer slumber rather than shutting down for winter. The soil is actually damp, the air fresh with all manner of sweet smells from the trees. 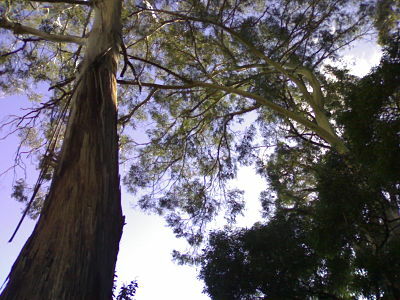 Its like the eucalypts are finally relaxing and breathing deeply, exchanging oils with the air as they do so. The bush is ablaze with bushes and plants in bloom, the light that bit richer, the sun losing its bite, the deciduous trees in mad colour. Central Vic puts on a damn nice autumn. This month I have been thinking about class. 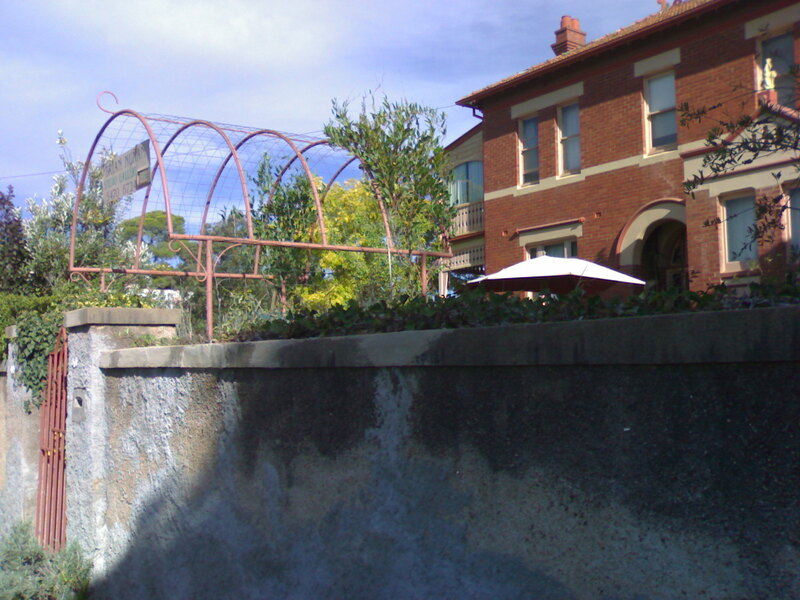 Like any town, Castlemaine is a complex place, with sub cultures based on race, belief, politics, and interests. What is striking about this place is the class divide. Given that many of us don’t use that ‘lens’ when looking at the world so much now days here in Australia, its a divide that therefore perhaps isn’t as obvious, as other things like the incredibly Anglo nature of the town. But the class ‘divide’ – for want of a better word – is certainly there for any one who pays attention, it sits there just beneath the surface and I wonder how much it affects life here. 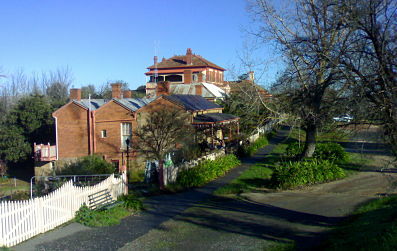 Apart from there being some ‘nicer’ parts of town, and Norwood Hill (as a few people have said, the ‘poor’ side of town) Castlemaine just isn’t big enough to have whole areas of affluence and poverty. So we are all intermingled – the older community of original Anglos, the ‘alternatives’ who started to arrive in the 1980s, and the ‘professionals’ who came a decade later. Mostly it’s all pretty seamless, with all the groups present at public events, saturday market you can see it, on a friday night or saturday morning peak hour down in the main street. It comes into sharper focus now and then: for instance at the ANZAC day event, there was almost no one that I knew there amongst the many hundreds of faces, except for the Mayor – a Green – who walked a fine and well crafted line in his speech to a crowd that certainly wasn’t his core constituency. Most migrants living here come from the UK or northern Europe, building the ‘Anglo’ aspect. I won’t even pretend to know what’s going on for the current wave of arrivals, the Africans, or the remaining Jaara people. Castlemaine has managed to keep a strong blue collar focus since the end of the gold rush days, with sizeable manufacturing, service and other factory-based production, some of it going back to the early 1900’s: the brewery, quarry, flour mills, railway foundry and the prison. Nowadays the biggest single employer is still the bacon factory – almost 10% of the workforce, which produces ham, bacon, shaved meats and salami. There is the yarn plant for a carpet factory, the new prison, the hospital, but much of the rest is gone. Castlemaine got lucky with the roll of the dice when a number of bacon/ smallgoods plants were ‘rationalised’, being the lucky town that benefited while others lost out. The plant seems to be in constant growth and is one of Australia’s larger food manufacturers. I haven’t been here long enough to pretend to understand what’s at play. Maybe class doesn’t matter now days, maybe we all are just ‘aspirational’ (but aspiring for different things). But to understand a place you do need to understand where the people come from, so in this sense, the layers of cultures are fascinating. What strikes me as strange is that amongst my many union organiser friends, I know of no one that has worked in Castlemaine. Despite having ‘Agitation Hill’ from the time of the gold rush and the Eureka Stockade, I wonder if the class awareness and militancy of the Ballarat goldfields simply never germinated on these hills and valleys. The original Anglo community seems – on face value – conservative in that classic small town kind of way. The many Australian flags you see in peoples front yards attest to modern nationalism but are probably less prevalent than prayer flags, although certainly more common that the Eureka Southern Cross. Of course, the public face of conservative politics often plays out here through the wonderful musings and outbursts by Councillor Robin Taylor, whose most recent claim to fame was to announce that all the ‘greenies’ moving to town were like the ‘crap rising to the top’. Apart from his poor grasp of geography (unless there is a secret map of Victoria showing Castlemaine as the ‘top’), I find his posts amusing and sad. It has that personal nastiness and lack of sense of proportion you find everywhere amongst a tiny part of the population. At the risk of going a bit into pop psychology, it seems to me that this form of mean spirited right wing politics is indicative of someone who can only look backwards to find meaning, the John Howard ‘white picket fence’ syndrome. Given the level of angst and ability to ‘maintain the rage’, you can sense sadness and a sense of loss they must be feeling, rather than real political threat. I think this is borne out by their desire to paint themselves as under dogs – for instance, Robin’s claim that “the powers in the ivory tower will not be happy” about his website. Now, I don’t like overt right wingers. But I just can’t sustain that much personal anger for the likes of Andrew Bolt. And I think their ability to vent bile – in such a personal way – obviously has a deeper story. My take on it is that deep down they know that they are on the wrong side of history, as the world changes around them, and anger is the thing that sustains their politics. I like my politics with a bit more heart and a little less hate. So I wonder how deep the support goes for this form of right wing nasty-ness. The ‘essential’ services, like newsagents, supermarkets or bakeries are often the place to over hear town gossip. Whenever Robin has a spray, especially when it makes the papers, I love to eavesdrop, to get a sense of the lay of the land. And what I get is that most people have a sense of humour, sometimes agreeing with parts of what he says, but without that nasty, personal angle of his outbursts. That gives me hope. This is borne out by the polling trends. While local working class people could be expected to vote for the ALP, there is always the chance that they could embrace more conservative forms of politics. Yet the vote for the Nationals is very low. In Castlemaine, it feels like current community political issues tend to bind rather than separate people. This can be luck of the draw dependent on where the town is. 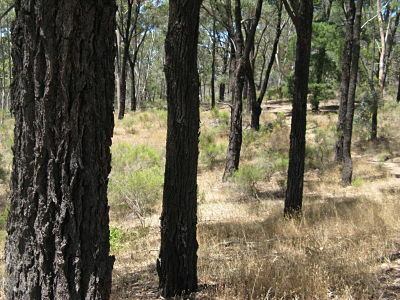 We don’t have the bushfire risk of the east of the state or significant native forest logging here. There are no major and potentially divisive projects, like Stawell has with proposals to build massive mines. There are no coal fired power stations or pulp mills, or anything else that can drive animosity between people when you are in ‘the bush’. The biggest public issue of late has been the plan to amalgamate several local public swimming pools into one mega aquatic centre, and this has galvanised people in a way that cuts across class lines. Certainly there is low level debate about council priorities – should it be about car parks or bike paths, etc – but most people live in the 21st century and just don’t fuss about this type of issue. We all get that local councils should move beyond just caring about the ‘3 R’s’. Local nature conservation – at the landscape level – seems to be widely supported. And apart from a few vocal nutters there is no obvious and organised movements of the far right, or wise use groups. And as the self proclaimed Hot Rod Capital of Australia there aren’t even that many petrol heads relative to the rest of the population. After my little tirade about wasted space, this month i have been focussing on the human scale. It’s late March and we are starting to get some cold mornings. As I wander down the hill, the very faintest of pale dawn smudging across the eastern sky and the streets dark and quiet – almost no street lights here – I think of the Dja Dja Wrung people, and how they must have been hardy folk, living in this hot and cold stony country without all the comforts we have. This landscape was, of course, both intimate and on a human scale for them. From this hill, into the valley, over the next rise. And while people and items often travelled long distances, it was always slow, at walking pace. The land must have been so big. The car has shrunk everything. 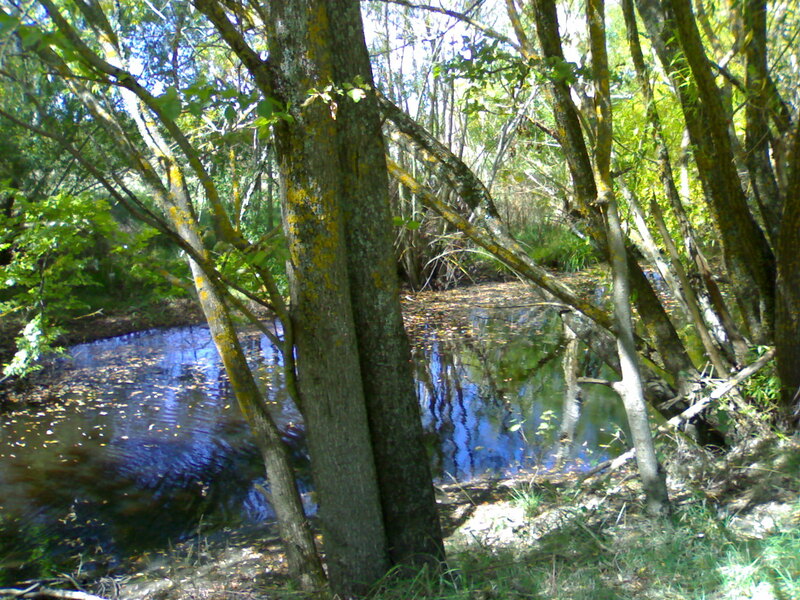 Much of my terrain here is within walking or riding distance – the shops, school, friends, the surrounding forests. Further afield are the place that are already getting special to me – Mt Alexander and the other local crags – mostly granite hilltops, and Mt Tarrengower. The landscape is still so complex. You look at those old photos from the early days of town – brand new buildings, built with that first flush of gold rush money – but the hills are completely bare. Given how dry this place is it is amazing how the land has come back so well over the past century. Its all mixed in with hundreds of introduced species now. I often wonder at how these trees originally got here, did they come as individual plants from Europe, across wide and dangerous seas and then by cart up from Melbourne before ending up in this thin soil, planted out as a memory of home? 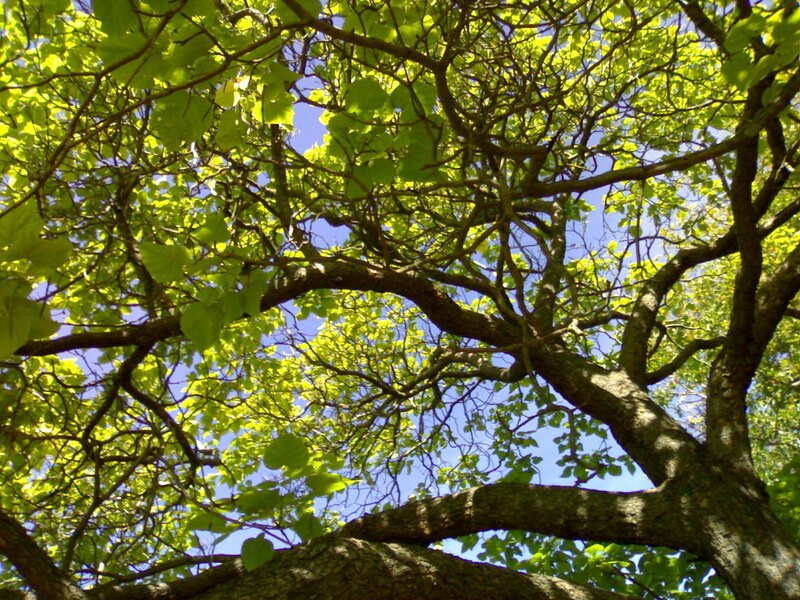 I find it hard to get interested in old diggings, but the trees from elsewhere are different – they speak of peoples needs and hopes and dreams, and their memories. Leaving home, out of necessity or desire, was such a big venture, with no promises of return. The few things people brought with them, like seeds fro home, must have had such value. In Melbourne I can only see value in either indigenous species or food plants, but here, with baking summers and long, cool but sunny winters, creating micro climates around our living spaces are the way to go and deciduous trees play a really important part in this. The whole place is about human scale, from the complex stonework and sometimes chaotic scattering of houses to the hilliness and resulting flood prone valleys, which influences where we can actually build. And central to living here well (unless you just want to retreat inside and turn the air con on) is creation of micro climates, passive design and good use of shade. There are so many great small spaces where you get glimpses into gardens that do this, creating green air and coolness, soaking up kitchen waste, rain and tank water. But the false belief that ‘bigger is better’ can be seen everywhere. The talk of the town right now is on the plans to close 3 local swimming pools so as have one large indoor aquatic centre – meaning lots more people have to drive to have a swim with their kids. The horrible ‘estate’ developments and dodgey houses on an acre or 2 continue to stretch outwards, swallowing open space and farm land. The local right wing crazy pushes his ‘climate change is not real’ blurb on his website and abuses us new arrivals as the ‘crap rising to the top’. But there is also a wonderful and vibrant discussion about what type of place we want this town to be, one that embraces the best of community and appropriate scale. Not one that fears the 21st century, like the grumpy old climate sceptics and flat earthers. Heading to Melbourne. 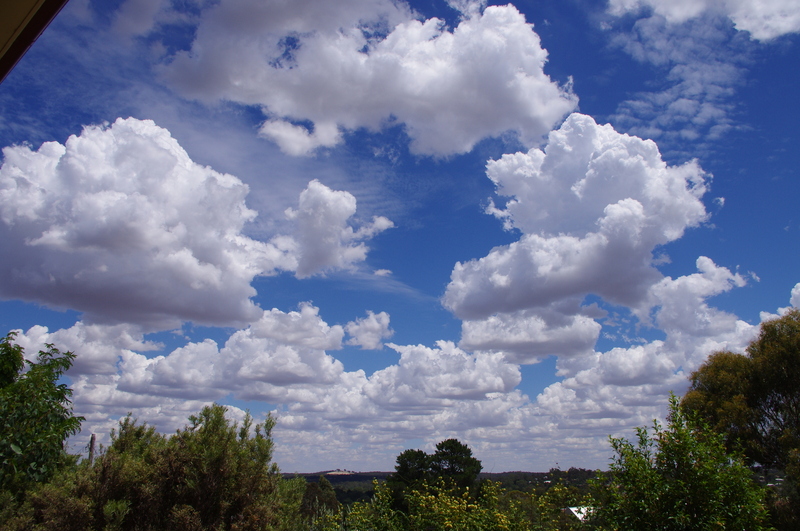 Mount Macedon sits under a slate grey cloud, and northwards, towards Central Vic there are cool, pale blue skies. 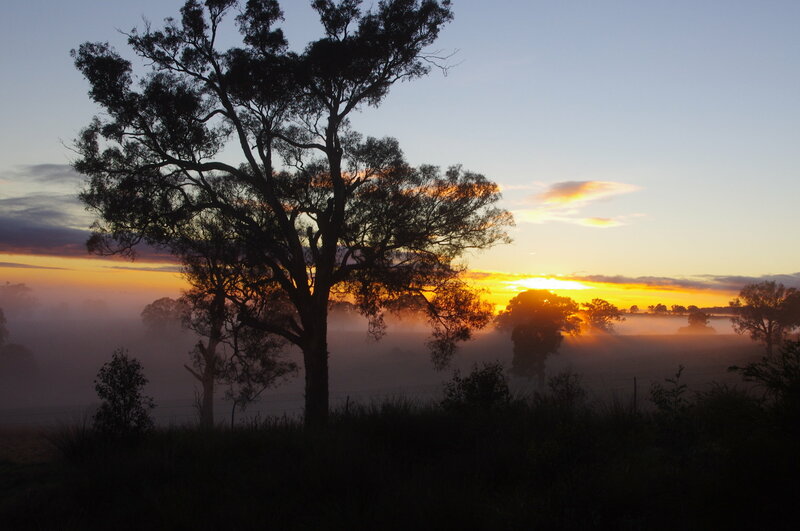 Mist rises from the Kyneton plains, the frosts are not yet here. It finally feels like the world is slipping over into autumn, a sense of slowing down. Winter is still months away, but, as the saying goes, on a quiet morning I can hear it coming. Feels like the tail end of summer – I hope. The month weaves through a cycle of build up to hot weather then burst of cool change. We even got some half decent rain – one after a massive lightening storm – in between lightening bursts, two older guys down the hill from us were rushing out with buckets to capture some of that wonderful water tumbling down the drains. It’s still the hot season, and more humid than I expect – although judging by the complaints this is all out of character for this time of year. Have been constantly exploring – mostly ever longer walks out to the east and north from town, and also some jaunts by bike and car. Enjoying the nice, very European botanical gardens, and finding lots of spots where you get a view back to Mount Franklin, and north to the lumpy ridge of Mount Alexander. But the space is freaking me out. Not the open space – I love that, all the maze of woodland and farm country that stretches out in all directions. No, its the urban sprawl that’s driving me mad. That haphazard growth that creeps out along the valleys that radiate from Castlemaine and climbs onto the surrounding hills. I finally got out to the ‘three tree’ hill to the south of town I have been spying over the last month or so. Turns out it’s covered with a big and very un-gainly looking house. 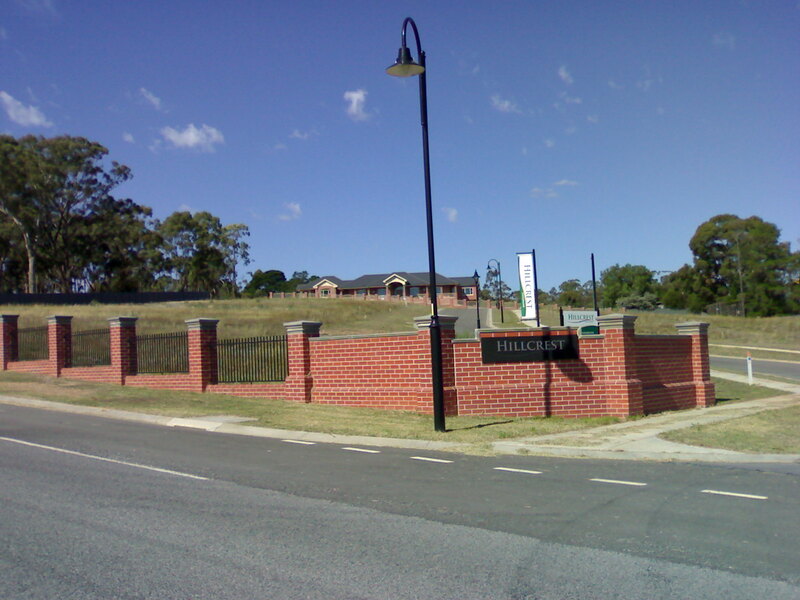 And beyond that, past Norwich Hill, is a suburban wasteland where blocky ‘McMansion’ houses meet neo colonial style, all on a couple of acres, the occasional solar panel, and an inordinate number of Australian flags. Yes, Castlemaine is the suburban dream writ large. Which means, of course, almost as many cars as people, low density development and a huge amount of waste. 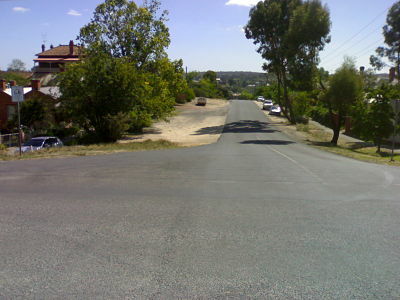 If Castlemaine ever runs out of money I am sure we could rent out some of the streets as an extra runway for Tullamarine. They are so wide and extravagant. As yet there’s no real down town residential development above or behind the main shops, it just goes straight into the low density sprawl of the ‘burbs and continues for miles in every direction. Australians – by and large – just have no class when it comes to space. There is so much wasted land here, that just gets the occasional visit from a whipper snipper but mostly gathers junk and random plant growth. Yes, I know, lots of people like this ‘freedom’ but it just strikes me as being a form of mean-ness of spirit: “if I can afford it, I can waste it, we have all this space so we may as well fill it up”. We don’t so much settle into the landscape, we kind of sprawl out around ourselves as far as we can. The landscape looks lovely but it is car culture at its worst. I always am reminded of the many other places in the world where – for whatever reason – people have chosen not to live this way. The nicest example I can recall is the small village model of countries like Switzerland – not just in the mountains, out on the plains, too – where property values and a sense of respect for land means that towns have a small physical footprint relative to the number of people living there. You travel through farmland or open space and come to a compact village of 2 to 3 story buildings and a cluster of shops. People can walk to do their daily business and see their friends. And farmland and pasture and open space are within walking distance for everyone. I don’t get what’s so wrong with this model. 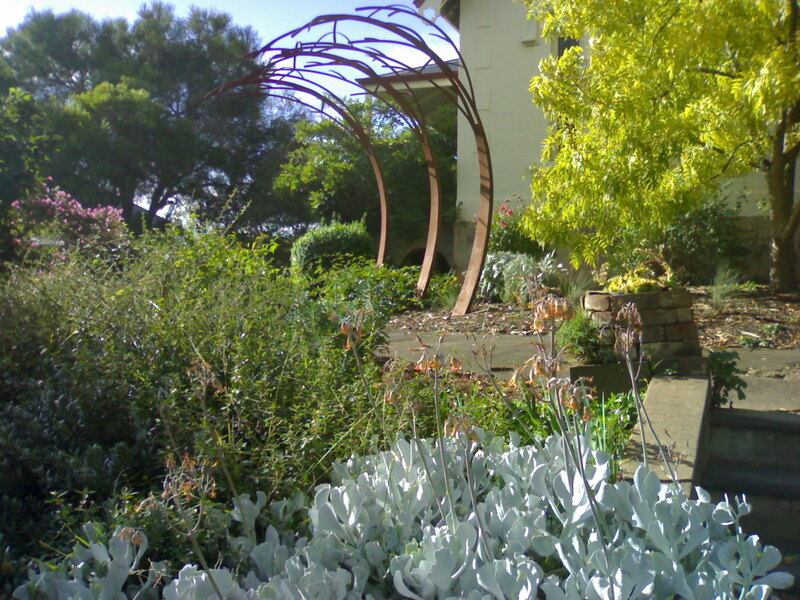 Some of the nicest use of space that I have seen up here in Castlemaine are the small gardens that create a micro climate against the relentless summer sun. We have lots of rock, and that creates a sense of place – of being in the Gold Fields. 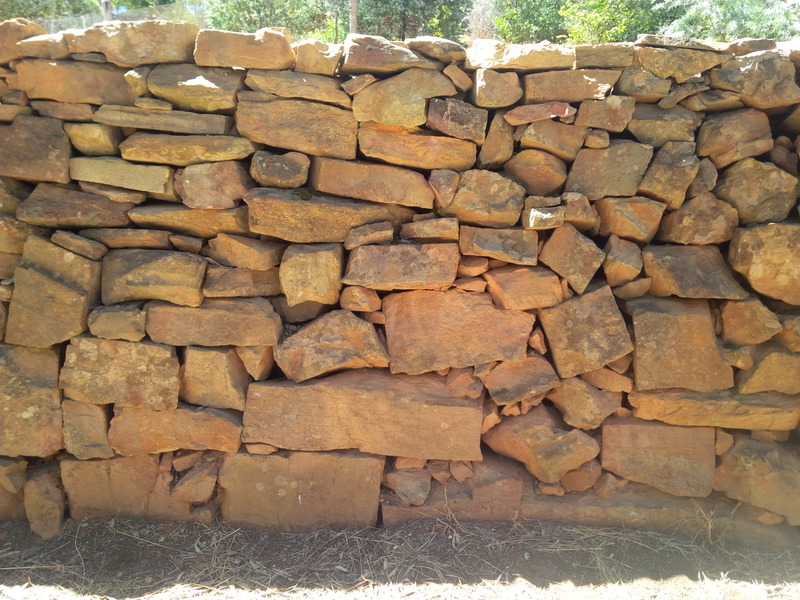 There is a real human scale to Castlemaine – the wonderfully built old houses, often a mixture of materials that started with local stone and grew out in timber or brick as families had more children or had a little more cash. Some of the laneways are fantastic, very much orientated to the human and small scale. In spite of it being dry up here, many people have created compact and very aesthetic gardens, and food production is often incorporated into this. There is a carefulness about water – both catching it and using it. But to be honest, I think I see more vegetables grown in Northcote than around the streets of Castlemaine…. Its such a nice town, its got such a great community, it feels vital and dynamic. I think its of a similar size to Torquay but feels profoundly different: we are definitely over the divide: inland, under a big sky on a land with thin stony soil and not much rain. Much as I love it, I can’t feel good about the sprawl, the waste of good land, the lack of mindfulness that I think sits below the assumption of sprawl. We are lucky to have a network of public land that radiates in most directions from Castlemaine, meaning we all have the chance at access to open space and views and greenery without a drive. But the challenge will be to start to build up density in a thoughtful and sensitive way. The starting point for this would be to encourage development above and behind shops and other buildings in the down town area and near the railway station. If a change is as good as a holiday, then for a bioregionalist, moving house is a like a feast for a hungry stomach. I have spent so many years walking the ridgeline and surrounding valleys of Northcote, appreciating every nuance and change, that it all feels etched into my very body, that distant glimpse of the blue rumpled ridge of the Dandenongs, the tight curve of the Merri as it snakes down to the Yarra river, the manna gums growing slowly higher by the creek. And here I am, way out of the watershed, in a place where the watershed doesn’t make so much sense – its more a tangle of hill and valley bottom, the land so dragged over and re-grown, the houses (mostly) so much of the place, the soil so thin and old, the air so empty of anything but heat, a wild maze of tree species, familiar yet strange. Feeling wired and a bit too busy for this place, but also easing into it. 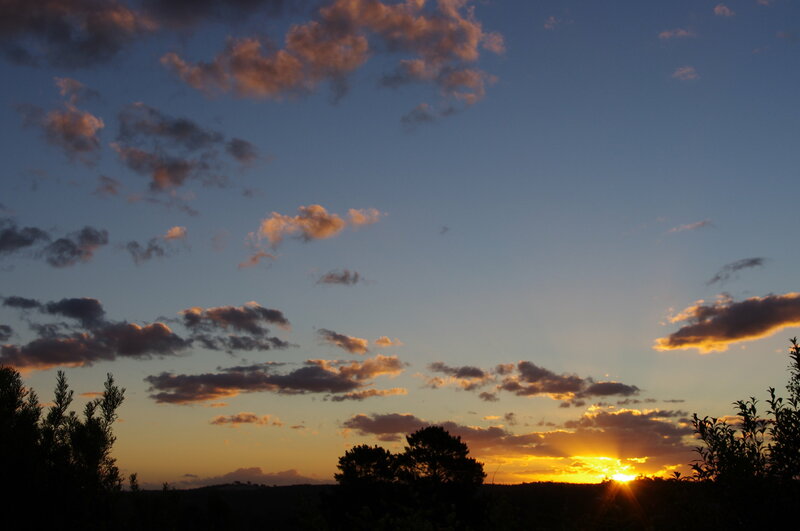 We live on a hill, up towards Kalimna Point and can sit in bed and watch the sun go down over that shallow bench of down town Castlemaine. Nice view across to the forested hills to the south, and a lop-sided hill way out west and south, bereft of a single tree. Closer hill with three trees, need to go and check that out. Out back is Kalimna Park and the promise of bush and open land, Mount Alexander out past that, and the great northern slopes beyond. I love rock, and its wonderful to be in such stony country – siltstone, sandstone, mud stone, granite poking through on some of the hills. The red Castlemaine brick everywhere. Having lived for so long on the edge of the basalt plains means that local rock is mostly bluestone, and as a climber that’s never really appealed. But this is something else. 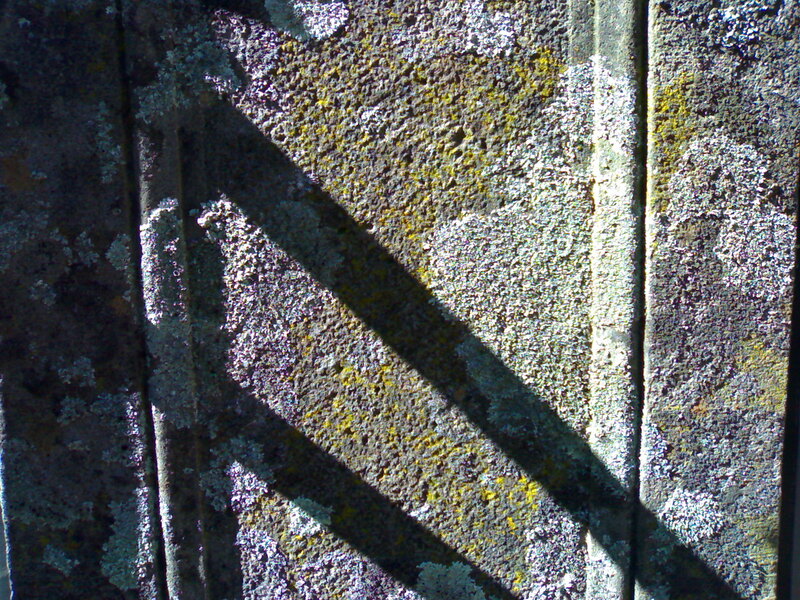 Walking around I am constantly admiring the stone walls, there is so much well crafted stone work. I just want to build cairns and rocky sculptures, and jump into the wonderful drainways made out of granite rocks. Spent the first week getting the lay of the land – the good cafes (the Doveton is current ‘fave), the school, the food store that works best for me, the sneaky backways through the streets, bottleshops with suitable brews, all the rest of it. Catching up with friends. And initial acquaintance with the land itself. Such a crazy mix of exotic and indigenous, Cootamundra wattle creeping through, pines and all sorts of deciduous trees in the bush. But also Box and graceful stand of Ironbarks not 3 minutes walk from my house, and on the north east side of Kalimna Point a grove of Cyprus Pine. Who would have thought i would ever find myself in Cyprus country. Makes me think of cold and starry nights on the western slopes of NSW. Easing in, and slightly disjointed, doing the split between work in town and down time in Castlemaine. Stretching out, I like the gritty ground working through my shoes, the gaze to the south west to see what’s coming, the quick cool off as the sun slips behind dark smudge of hills. Lets see how this goes. 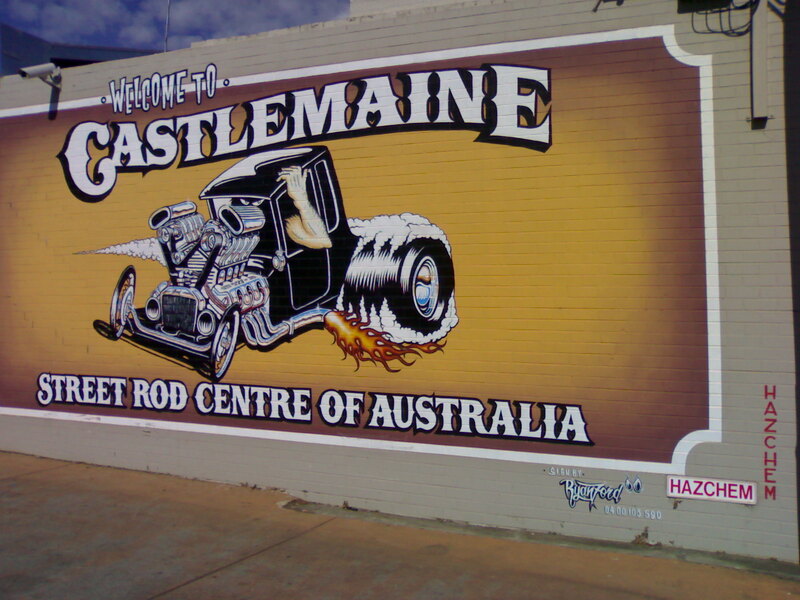 Love this post – the social, the climate, the economic, the political all writ small under the title of Castlemaine. An alert person – such as yourself – can glean so much in a diverse but small community. In my years in little Tennant Creek in the Northern Territory, I often felt like I was in the centre of the universe for just this reason.